Charlie Ngatai scored four tries and Damian McKenzie had two as the Chiefs overcame the loss of 12 players to injury to take a bonus point from a 53-10 win over the Western Force in Super Rugby on Saturday. Ngatai scored four of seven second-half tries, while McKenzie maintained his record of having scored a try in every match this season. Other tries went to backrower Michael Leitch, winger James Lowe and Los Angeles-born Tony Pulu, who scored with his first touch in Super Rugby. The Chiefs led 12-10 at halftime after first-half tries to McKenzie and Leitch. 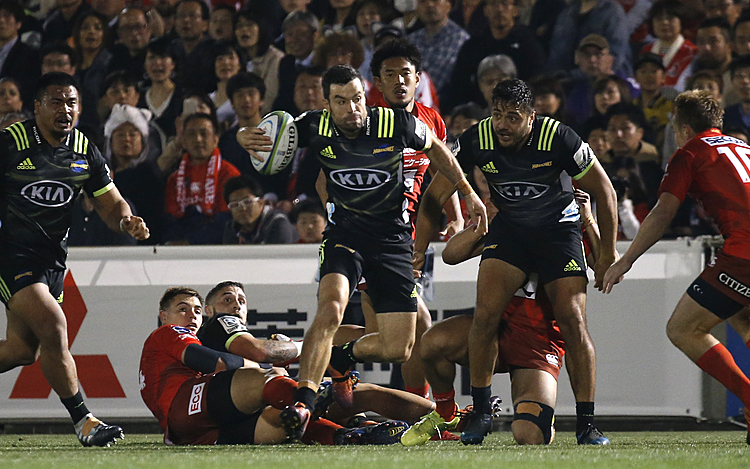 The Chiefs scored three tries when the Force went down to 14 men and three more, including two to Ngatai, in the last seven minutes.